Caroline practices intellectual property law with an emphasis on patent litigation at Carlson Caspers. She also has experience in antitrust litigation and clearance investigations. She has worked on matters involving a range of technologies, including pharmaceuticals, medical devices, and lawn care equipment, and is a regular contributor to the ANDA Advisors Blog. 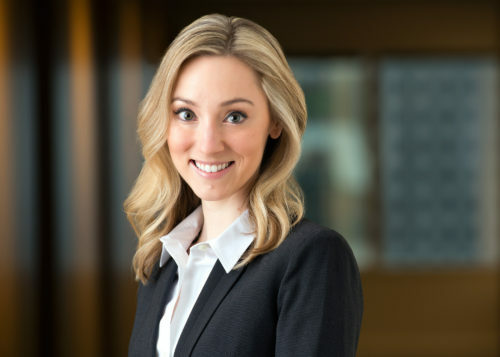 During law school, Caroline gained experience in both patent and trademark prosecution, was Editor-in-Chief of the Minnesota Journal of Law, Science & Technology, and graduated with a concentration in intellectual property and technology law. Caroline served as a judicial extern for the Honorable Francis J. Connolly of the Minnesota Court of Appeals. Prior to law school, Caroline earned her degree in biology with an emphasis on genetics and developmental neurobiology. She also conducted research in the area of pathology, particularly focusing on familial breast cancer. Caroline Marsili, Note, The Preemptive Power of Federal Patent Law: A Framework to Govern State Antitrust Challenges to Pay-for-Delay Settlements, 14 Minn. J. L. Sci. & Tech. 849 (2013).